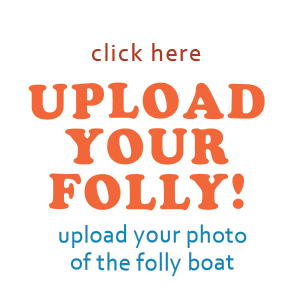 The Folly Boat is a Charleston, South Carolina legend and landmark that was washed ashore near Folly Beach in Charleston, South Carolina during Hurricane Hugo. After nobody claimed the boat, passers-by began painting messages and pictures on the boat. As the unofficial ambassador to Folly Beach it reminds each of its passersby of the funky, feel good vibes of the Folly Beach community.